Board-certified plastic surgeon Tiffany McCormack, MD and the staff at McCormack Plastic Surgery are committed to making patients feel comfortable and at ease from the moment they call the practice or walk through the door. Our staff is made up entirely of females who understand all of the emotions that moms may be experiencing, from the joy that comes with raising a child to the concern about changes in their physical appearance. Whether you have given birth recently or have been a mom for many years, our caring, compassionate team has the skill and knowledge to help reverse the effects of pregnancy, stress, and aging. 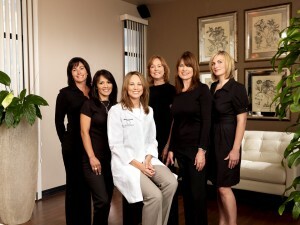 We specialize in offering the mommy makeover, a procedure that is tailored to each mom’s individual needs. The procedure can include treatments for the breasts, body, face, and skin. Many find that it is difficult to get the stomach to return to its pre-pregnancy shape. Other women are bothered by fat that has accumulated in the thighs, arms, or hips. No matter what area of the body you would like to refresh or rejuvenate, Dr. McCormack and her team can help you achieve your goals for a thinner, shapelier, and/or younger-looking appearance. Our state-of-the art facilities in Reno, Nevada are designed for your comfort and relaxation, and our compassionate staff is here to help with your needs. For more information about our practice or to schedule a mommy makeover consultation, please contact us today.